April 1, 2007: the day a legacy was born. We can all remember running into our elementary school book fair and picking up the latest book of Diary of a Wimpy Kid. The “cheese touch,” Fregley, and Rodrick’s band “The Loaded Diaper” are all things Diary of a Wimpy Kid fans wish they could’ve experienced themselves and are memories we will all remember. Many elementary school students had their own version of the “cheese touch” after this book was released. The story was easy to grasp, funny, and relatable – all things kids look for in a good book. I mean, I imagine we speak for all of us when we say we wish we could’ve been friends with Greg and Rowley. So, when a Diary of Wimpy Kid movie was released, we all piled into the theatres to see the book come to life. Because the book had cartoon sketches of the characters unlike most books, it was easy for us to accept the actors that were first casted for the movie. 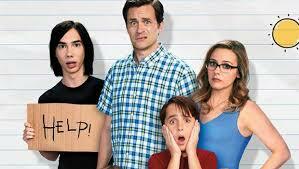 Three movies later, we had witnessed the Heffley family grow and made personal connections with them. Five years have passed since then, and a new movie is being released. Exciting right? Wrong. There is an entirely new cast full of Walmart brand, watered down, run of the mill actors, who, can never, ever, replace our Heffleys. After a trailer was released for the new book Diary of a Wimpy Kid: The Long Haul, fans took to Twitter to voice their anger about the new cast, especially Rodrick. The hashtags #NotMyRodrick and #NotMyHeffleys were trending top 10 on Twitter, and a plethora of memes were created about these new actors. The backlash and hate were so aggressive that Devon Bostick, the actor who originally played Rodrick, released a video addressing the issue. Bostick encouraged fans to accept the changes and stated that it was time to “pass on the torch.” Although the old cast has moved on, the fans haven’t. I don’t know about you, but we’ll forever be upset about these changes. The newest addition to the series is not and will never be a true Diary of a Wimpy Kid movie.